The Dubai Mall has numerous hidden gems and every time I go there I stumble upon something new. 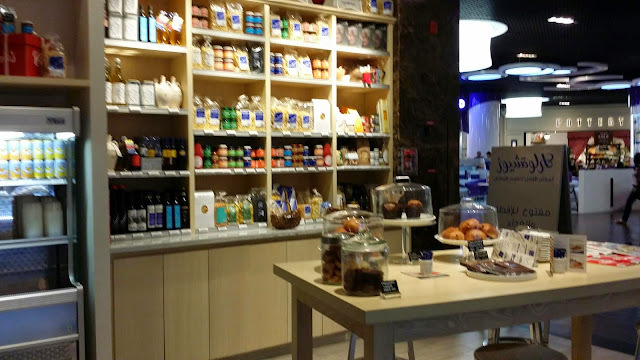 A little pop up shop or cafe situated in some corner of the mall can always surprise. The places I tried this week aren't very hidden, but this was the first time I tried them. I did come across a new home store where I've never been before, but today we'll stick to Carluccio's and Bloomsbury. 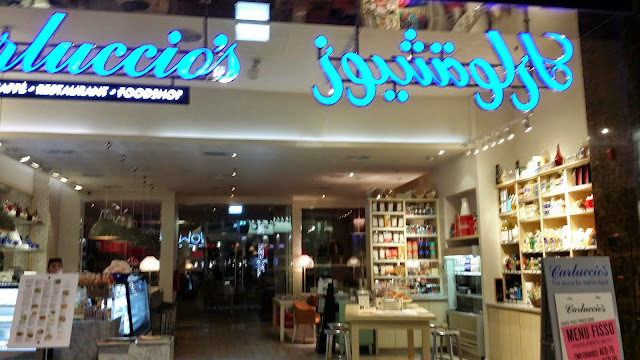 Carluccio's as the name suggest is Italian. You have two seating options, one facing the fountain and the other facing the mall (see image below). 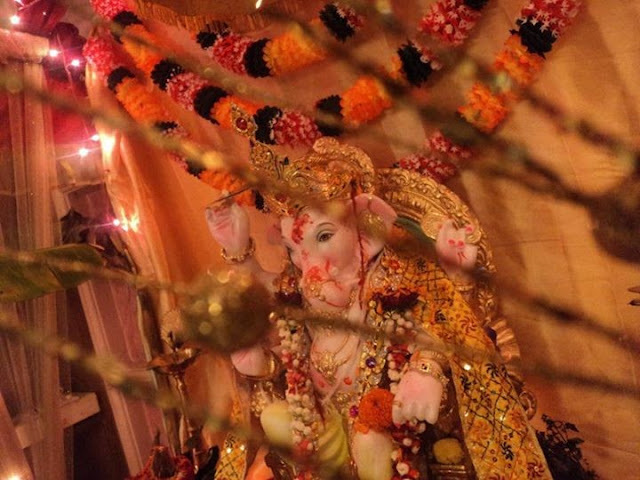 The service was friendly and quick considering the fact that it was a Thursday. We ordered two pizzas, a pasta and a salad. The margarita was thin crust, soft, chewy and pretty good. They did not have any options in chicken pizza's so we ordered for grilled chicken topping with our pizza., the result chicken strips on top of the same Margarita pizza. It din't taste bad, cause it still taste the same with just chicken on top. The Pasta Arrabiata was a disspointment, something was just off about it. The chicken ceaser salad was okay-ish, I prefer Applebee's for salads when it comes to chain restaurants. The food was decently priced with a margarita starting at AED 38. I say go there if you like thin crust pizza, its definitely worth a try. p.s. I was starving when I got there, so I wasn't patient enough to get a picture of the food. Scroll down for Bloomsbury review. Bloomsbury's reminds me of one of those English Tea parlours with a modern American twist and a hint of France with their array of macaroons. 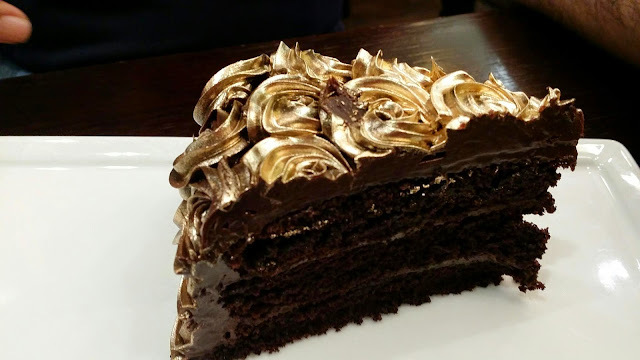 The chocolate fudge cake hidden under a layer of golden swirls won us over with its sheer beauty, but the taste din't live up to the hype, it felt a bit dry. 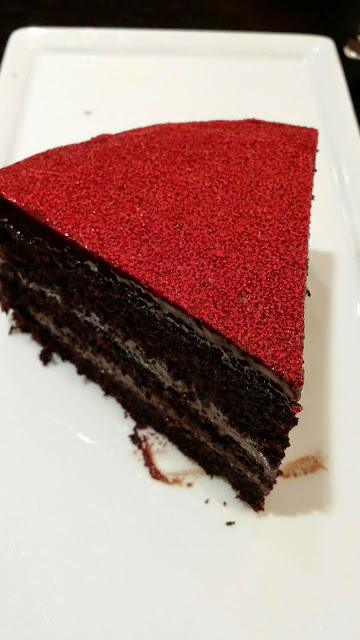 What did taste absolutely decadent was the chocolate hazelnut cake which was super moist and so so chocolaty. My niece and nephew were all over it. It also offers a high tea, perfect place to spend a few hours chit chatting. 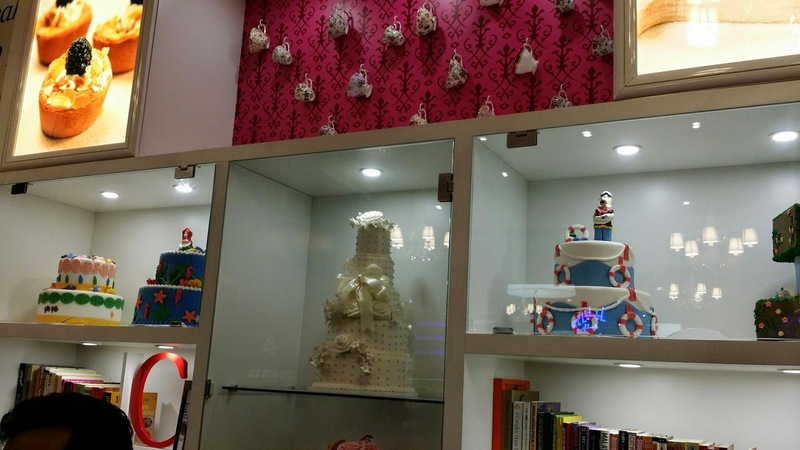 The macaroons were price at AED, the pastries we had were AED 20 each and the cupcakes for 12 a piece. The prices are a bit steep compared to Magnolia Bakery right across, which offers bigger portions and is much for famous for all their offering. 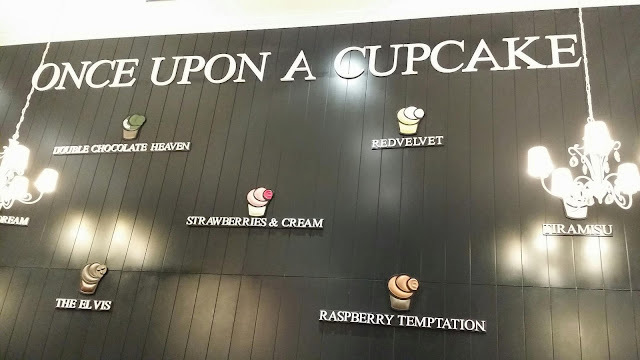 I personally love their (Magnolia) chocolate cake, but their cupcakes don't live up to my expectations. 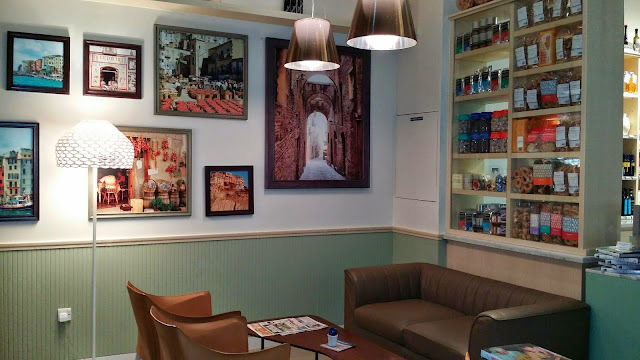 If you are looking for a cute little place to hang out without too much hustle and bustle Bloomsbury is a good option considering the fact that there was just one other party besides us on a busy Thursday night. Both these places are located at the lower ground level of The Dubai Mall. Hahaha I will definitely try to ;) but the pizza did look quite yum. Someone else's pizza just came out of the oven and I caught a glimpse of it, which made me even more hungry to gobble one down!